Is luck a part of walleye fishing? Oh sure, we’ve all heard the stories of the first-timer going out with a borrowed rod and reel spooled with two year old line and "lucking" into a ten pounder. That could be viewed as pure luck. But what about that guy in our fishing club that inevitably ends up every year walking away with the majority of the awards? Or that group of anglers that consistently make the Masters again and again … or even the anglers that just always seem to do well at finding and catching fish on the lake year in and year out - are they just "Lucky"? It all depends on your definition of luck. We’ve heard luck defined as "a result occurring following exhausted effort", and "preparation meeting opportunity". So if you want to become a "luckier" angler this upcoming season, perhaps a bit of "exhausted effort" and "preparation" is on order. 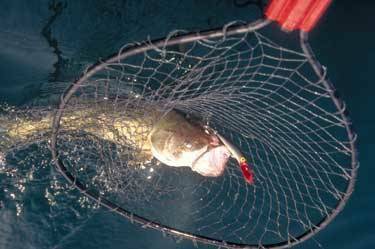 Preparing to be a” luckier" walleye angler can be a time consuming, yet very enjoyable process. Tackle organization is one of the key steps to being a well prepared walleye angler. By now it’s probably been several weeks (maybe even a couple months) since you last opened up the old walleye tackle box. After a long and fruitful season of fishing trips, chances are it doesn’t look nearly as well organized as it did last spring. That makes it a good place to start your preparation for the upcoming season. If you’re like me, your crankbait boxes are in need of some serious attention. Sorting the baits according to style, and color will insure you’ll quickly be able to find the right lure when the time comes. As you sort, be sure to check the hooks. If they are showing signs of rust and/or wear, now’s the perfect time to change them out. All you need is a pair of split-ring pliers and an assortment of replacement hooks. Don’t skimp on the hooks either ... remember, this is the part of the lure that either hooks the fish, or doesn’t. If you’ve ever lost a big fish at the side of the boat, you know the feeling a bargain hook can cause. If you want to try something different, try the new Red colored hooks that are on the market. They just may get you a few extra bites this year. Every well-prepared walleye angler should have a supply of spinners in his arsenal. Since most of these are tied on monofilament line, be sure to check them carefully for any signs of wear. A good policy when it comes to these is if it’s out of the original package, it probably needs to be replaced. Spinners can be stripped and the components salvaged to tie new ones, but it’s usually a good idea to tie those with new hooks. If you do tie a lot of your own spinners, be sure you have a good supply of blades on hand. Popular shapes are Colorado, Indiana, Chopper and Hatchet, they are available in all sizes at the bait shops and on the internet. As long as you’re checking out the livebait gear, you’ll want to be sure you have plenty of weights and bottom bouncers. The typical walleye angler will carry a lot of lead around in the form of everything from split-shots to Snap Weights. Bottom Bouncers are very versatile, and have become the walleye angler’s "go-to" weighting system for most livebait presentations. Don’t forget the other necessary terminal tackle either, like quality swivels, snaps, and beads. One part of the walleye angler’s arsenal that often gets over looked is the live bait itself. If you want to be better prepared for the upcoming season, you need to make sure you properly store and maintain your bait too. There are many lines of live bait management products on the market from aerated bait buckets to long-term storage systems for nightcrawlers that makes bait care simple. Whether you’re storing bait for weeks at a time, or just over the weekend, keeping your bait well and lively is critical to success. One more thing you might want to do to prepare for the upcoming season is to upgrade your electronics. New advancements in sonar and GPS technology seem to come out every year. Maybe you’re ready to move to a color display unit, or just one that has more power and resolution. Even if you’re not in the market for a new unit, there may be software upgrades available for your current electronics. 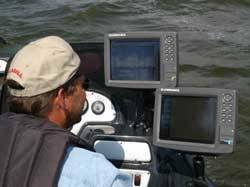 If you run a Lowrance unit for instance, you can go to their website, www.lowrance.com and look under "Free Product Software Updates". Downloading an update only takes a few minutes and may be just what you’ll need to be better prepared to find and catch more walleyes.